School board meeting March 11. At right, Maria Pereira. Martinez second from left. Passions run high on the school board which has replaced the City Council as the front row seat at the Monday Night Fights. Grab yourself a free pass. Maria Pereira, obstructionists, evil divisive pointless irrelevant longest serving board member who truly gets me sick! Her day is coming! Bridgeport parents and those who care about the education of children, the future of our babies, the staff in our schools, rise up in an uproar demand what is deserved and owed to our babies! I cannot wait for election time … it matters! Martinez and Pereira, both passionate, resemble the irresistible force versus the immovable object. Take your pick. Pereira, the self-styled piranha of city politics whose probing, deep-diving persona certainly gets under skin, has emerged as the opposition face to anyone she deems part of the political establishment. She was first elected to a four-year term on the school board in 2009 running on the Connecticut Working Families Party line as a parent irritated by her daughter’s revolving-door of school teachers. Pereira and Sauda Baraka ran ahead of the Republicans to capture minority-party seats. 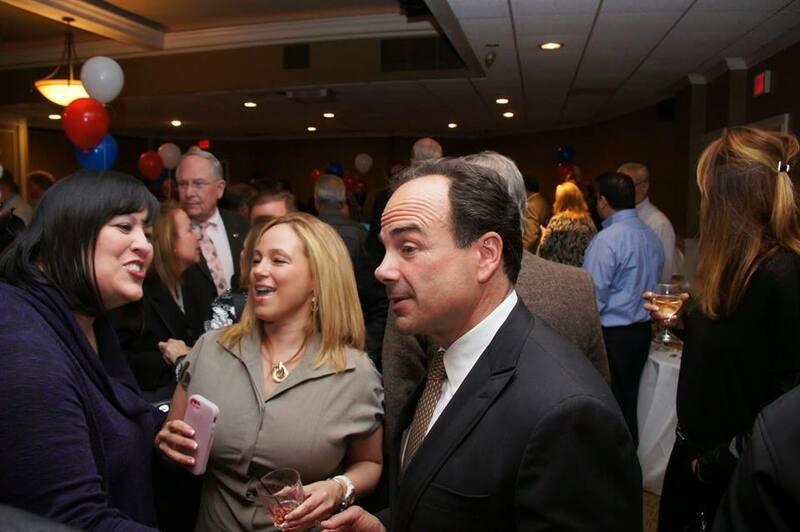 From 2015 happier days, Maria Pereira, left, with Joe Ganim. At center, former town committee member Dollie Fonseca. After a two-year break from board service she returned in 2015 running on Joe Ganim’s mayoral line with Dennis Bradley and Ben Walker. Bradley and Pereira butted heads often. He recently resigned from the school board after his election to the State Senate. The political establishment bit back some revenge from Pereira in 2018 taking back all nine town committee seats in the 138th District. Now we’re back in a municipal cycle with mayor, school board and City Council up for grabs. 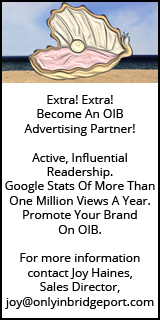 Judging by Pereira’s declarations in the OIB comments section the relentless campaigner is gearing up for this election cycle. Will it be for school board or something else? The school board seats of Pereira, Walker, Sybil Allen and Joe Lombard who was just appointed to replace Bradley’s vacated position are up this year. In July the town committee will convene to endorse candidates for public office. Paula Romero, from her Facebook page, planning a run for school board. Some names that have surfaced as potential school board candidates include Paula Romero, Bobbi Brown, Albert Benejan and Carmen Nieves. On thing is clear, Pereira, if she seeks reelection, will campaign on behalf of an opposition slate to party-endorsed candidates in September primaries. 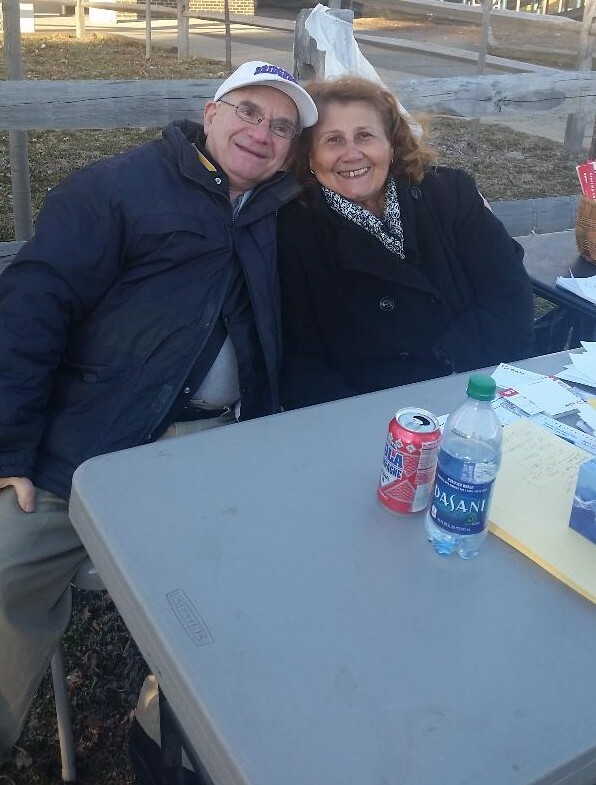 Democratic Town Chair Mario Testa and City Clerk Lydia “Queenie” Martinez campaign in front of JFK town committee precinct in 2018. Pereira’s calling is anti-establishment while Democratic Town Chair Mario Testa’s mantra centers on defeating Pereira for whatever office she seeks. So game on, as the political machinations shake out over the next several months. Why does it seem like Pereira does not get along with anybody?? I voted for her in past elections but on the fence now. 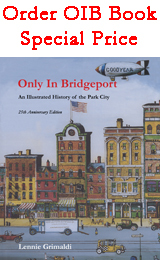 We need people who can get along with others and work for the people of Bridgeport! donj, you have been doing good in at looking at the bigger picture of things like the Republican Party and the President, I should look at the bigger picture here. Try to answer your own question, like why did Dennis Bradley have a boycott of the BOE not doing the work for the 20,000 plus students in Bridgeport until Maria stepped down from the BOE. 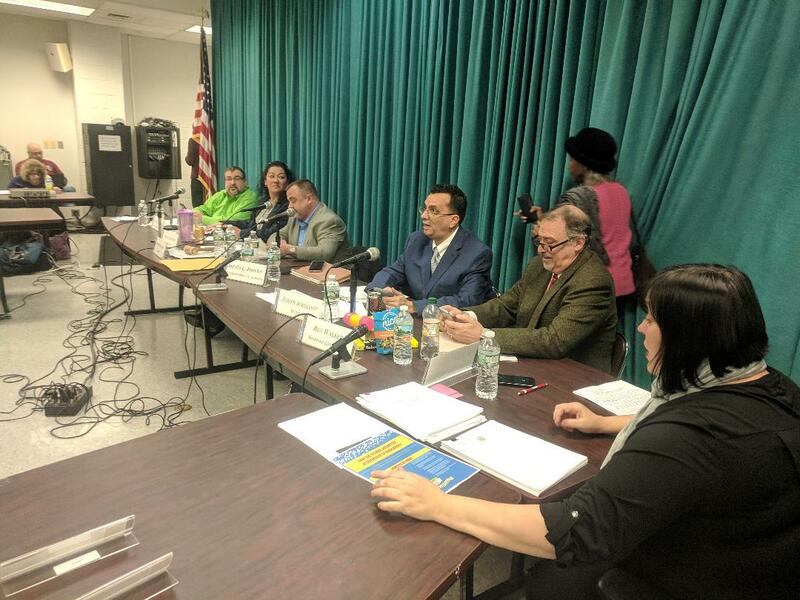 Donj Maria has just pointed out that there are no black men on the BOE and only one black female where there is only 13% of the Bridgeport’ school students are white and where white males are the majority on the BOE. Just saying donj, check out the facts first. In 15 months, the only policies that John Weldon, Jessica Martinez, Hernan Illingworth, Chris Taylor, and Sybil Allen have worked on was changing 51 Board Bylaws regarding our own governance which did not help a single student, parent or staff member. They have a super majority and are so scared and bothered by a different point of view by the minority, especially mine, that they orchestrated a coup to change everysingly bylaw with 26 hours notice. John Weldon appointed himself Chair of Governance and only held two meetings in 14 months. Not a single policy has been worked on in his committee. 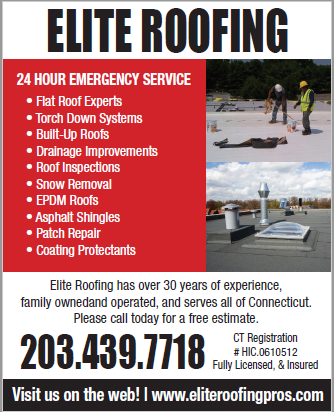 He worked on them in a back room with Mayor Ganim and Mario Testa’s approval. Maria Pereira and I get along. Let me say this. Maria knows her facts/information. Maria knows more about laws,regulations than the combined rest of the BOE(and that includes the newest puppet,Lombard). Her style is “in your face” and passionate. But if you step away a bit ,what you see is the MARIA PEREIRA KNOWS HER STUFF. The other members of the BOE are scared of that because the other members of the BOE know that they cannot compete with Maria-in terms of facts and regulations- and John Weldon has already admitted that the new Weldon Regulations are very specifically designed to shut down the voice of one elected member of the BOE. Yes,I wish Maria would soften some of her statements and strategies but I cannot disagree with the intellectual kernel of what Maria says. Mary Pereira for Mayor Now! Jessica pretends that she’s for the students, families, and staff of BPS; sadly her actions and past history have proven she’s anything but an advocate for any BPS related. Her recent votes show she has no interest in what’s best for our BPS population. Voting to change the bylaws and voting for “Mr. Lombardi,” shows that she can care less about BPS. Don’t forget her vote to cancel the incredibly successful Community Conversations. Does that sound like someone fighting for students and parents? Ask yourself why Jessica Martinez made such a post. I know the answer. She and her cohort are furious that I publicized what happened surrounding the filling of the BOE vacancy. I simply stated the facts. I didn’t embellish what happened,,I didn’t exaggerate or lie, I simply stated what occurred. Jessica Martinez constantly arrives late for her meetings and leaves early. I created a spreadsheet on each members attendance and on whether committee chairs were holding their scheduled meetings. Dennis Bradley had the worst attendance with Chris Taylor a close second. Jessica has the second worst attendance of the eight remaining school board members. Jessica Martinez only attended 66% of our Special Meeting in her first year on the school board. Of those she attended, she was late 41% of the time. As Chair of the critical Finance Committee she should have held 10 committee meetings LY. Nine were scheduled, but only three were held because she couldn’t achieve a quorum because Bradley and Taylor had such horrific attendance, however she selected Taylor and Bradley to serve on her committee. In my nine years involved with the school board, this is the first year a balanced budget was not finalized in the Finance Committee and moved to the full Board. You can’t fight for the “education of children, the future of our babies, the staff in our schools” if you cannot even fulfill your most basic responsibility of showing up for your meetings as an elected school board member. Before Jessica Martinez asks parents and voters to “rise up in an uproar demand what is deserved and owed to our babies! ” she should do her part as an elected school board member. Donj, you should know that a screenshot of Jessica Martinez’ post was sent to me. I forwarded it to Lennie and asked him to write about it. 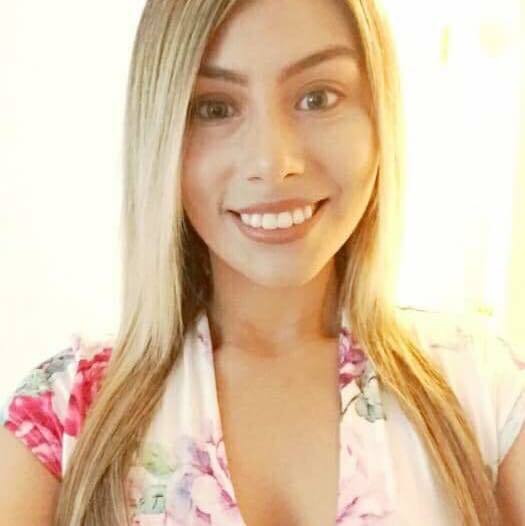 Are you concerned about the insulting, disrespectful and highly inappropriate post by Jessica Martinez? I want to be clear, those entrenched in the corrupt DTC/Machine do not intimidate or scare me one bit. I am a vocal critic who is armed with research, facts and data. I believe most would consider me to be fairly intelligent and articulate. I am an effective member of the opposition forces against Mayor Ganim and Mario Testa. I concern those who lead Bridgeport and are associated with corruption, unethical behavior, AB fraud, dishonesty, and promoting self interests. We don’t need less Maria Pereira’s in Bridgeport. We need more. Do you know how many policies, initiatives and program recommendations John Weldon, Jessica Martinez, Hernan Illingworth, Chris Taylor and Sybil Allen have suggested, worked on, spearheaded, and recommended to the full board that would directly impact the lives of students. parents and staff in their 15 months on the school board? Absolutely none. Only Ben Walker, Joseph Sokolovic and myself have referred policies, programs, curriculum changes. and programs to committee, worked on them for months with stakeholders and staff, and brought them to the full board for approval. That includes the Magnet School Policies, Sibling Policy, Early Childhood Center Policy, and we are working on the School Security/Entrance Policies. We have just started working on a new initiative where instead of suspension, parents will be invited to spend an entire school day side by side with their child. Most students find this incredibly embarrassing. It was implemented in a school in West Virginia and incidents of discipline and suspensions were significantly reduced because students do NOT want their parents in school with them. This policy would also be negligible in costs. I referred the revitilization of our school gardens to the Facilities Committee and we had a great first meeting. We must get our students off their sofas, video games and cell phones to work outdoors, enjoy nature and learn how to grow their own healthy food. Harding and Bassick have Culinary Programs, yet Harding does not have a garden. These schools should be growing their own herbs and vegetables to use in Culinary Class. Bob Halstead is partnering with Bassick to grow a Pizza Garden. Who doesn’t love that? Students will love it while understanding there are great, tasty and healthy toppings they can grow themselves. There are three of us who have really put in work. Hernan has good attendance, however I cannot think of a specific policy and initiative he spearheaded to completion. Sybil Allen has good attendance but barely says two words. I am not going to chastised by Jessica Martinez that has not spearheaded a single policy, program or initiative that directly impacts students. parents and staff. On a closing note I have no idea why she is calling on staff to rise up. The teachers union which represents 1,500 of our 2,700 BOE employees filled a complaint against the Board, more specifically because of outrageous remarks made by Chris Taylor and Jessica Martinez regarding our teachers and the union president. It also names John Weldon because he sent a letter on Board letterhead, without our approval, urging the teacher union members to attend a workshop hosted by Educators 4 Excellence. Educators 4 Excellence is anti-union, pro- charter $school organization funded by the Walton Foundation, Bill Gates and more. Jessica Martinez and Dennis Bradley were panelists at this workshop, therefore there was clearly a conflict of interest. What right do we have to ask BEA members to attend a forum on Minority Teacher Recruitment that is not being hosted by the BOE? We have NEVER interfered or inserted ourselves into what teachers do on their own time. They are NOT our members. Let their union give them guidance. 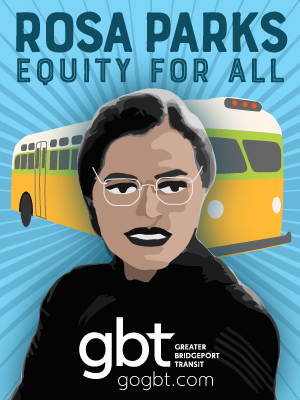 Teachers elect their union officers to lead them, guide them, fight for them, and more. Bridgeport has the most minority teachers in CT. We should have our HR team in conjunction with the teachers union hosting such an event. Clearly we have already had significant success in this area. Donj, Maria and I have had our disagreements and at time we excoriated each other, but you can’t take away from her that when she comes to meetings of the BBOE she is always prepared. The people on the board don’t like her because they can’t or won’t do the work that would allow them to come to these meetings with facts, knowledge and a keen awareness of the issues. Don, now you’ve really done it, saying something positive about Maria will make Ernie say that you are a supporter of Maria just like he did me when I did the same thing but who the hell cares about what he thinks. Thanks, Donald. Throughout all our disagreements, I have always found you to be articulate, intelligent and a great writer. Maria Pereira’s tactics may not please all the people. On the other hand it is the kind of ball Mario Testa likes to play. Ms. Pereira’s tactiocs are a rather sardonic comment on the state of public education in Bridgeport. She also makes a good point: Why is the BOE dominated by white males with a sense of honky privilege? Adults need to find civil ways of getting along. I am tired of all the fist fighting. Time for us to change out old diapers. Ms. Thompson, you have been less than civil on this blog.